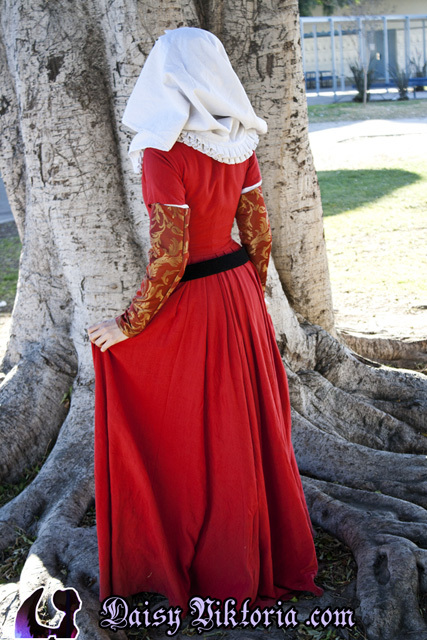 This is a Netherlandish kirtle from the 15th century. Though the style is not exclusive to Rogier Van Der Weyden’s, or even Memling’s, paintings, I used these sources as my primary inspiration. 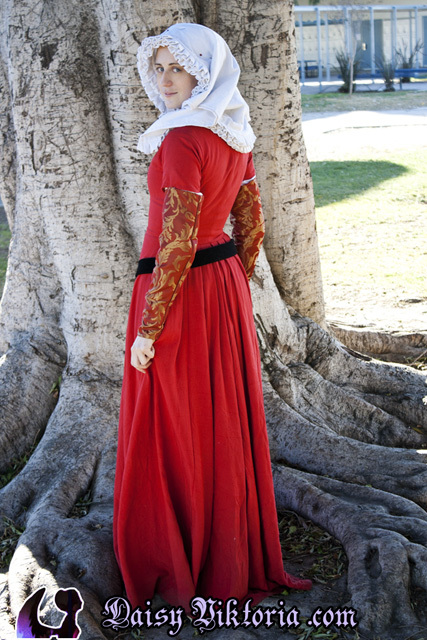 This kirtle has a waist seam and a separate skirt, and the front closes with lacing rings and handmade cord. 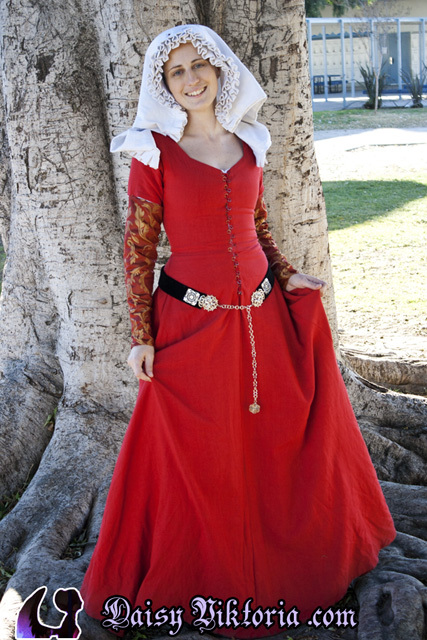 The belt is made of velvet with metal filigrees. 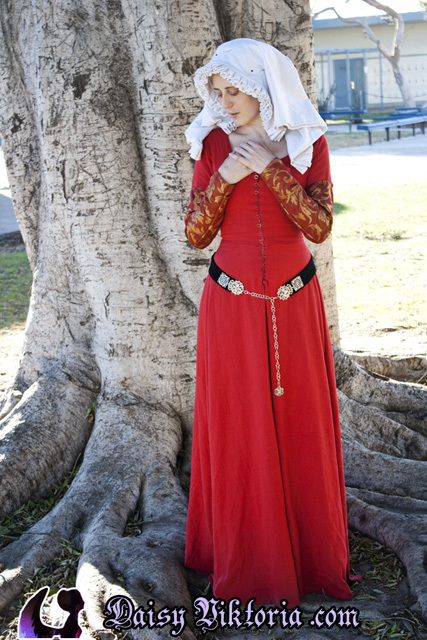 The ruffled veil is linen. 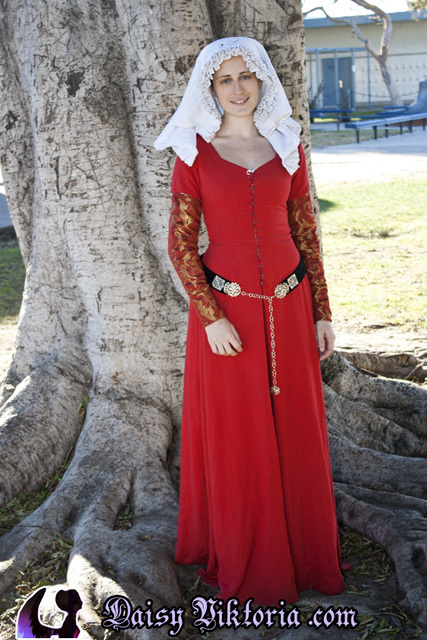 This style was also worn under the famous Burgundian, or Netherlandish, gowns, in addition to being worn on its own.